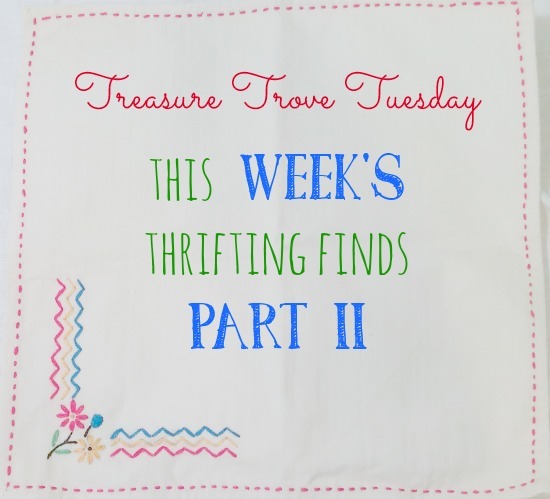 Yesterday I shared Part I of this week's thrifting finds, there were a bunch!! Today I am sharing the rest of my loot!! 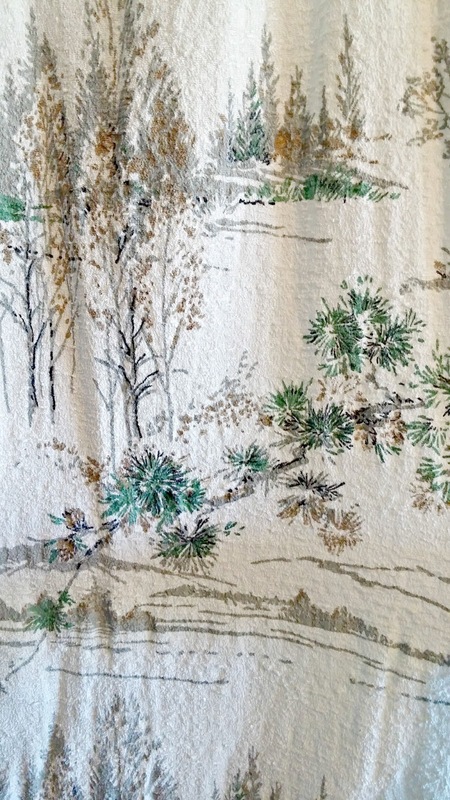 Most of what I'm sharing today is linens. I found a lot of them in the basement at the estate sale. The estate sale company puts a person in charge in each area of the house, some know more about vintage and antiques than others... lucky for me the person they put in the basement didn't seem to know much because I got these for GREAT prices!! 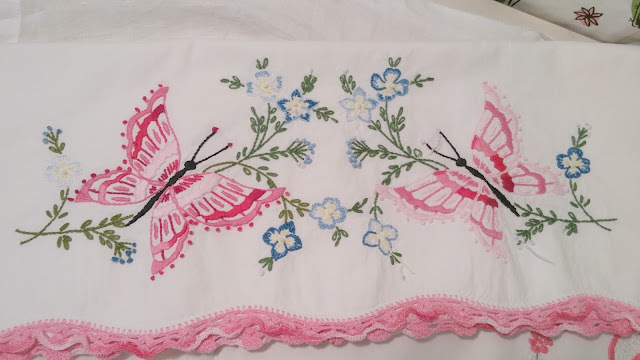 There are only one each of these embroidered pillow cases but I thought they were so pretty! They would be pretty in a little girl's bedroom. Price $1.00 each, Value $6 - $8 each. 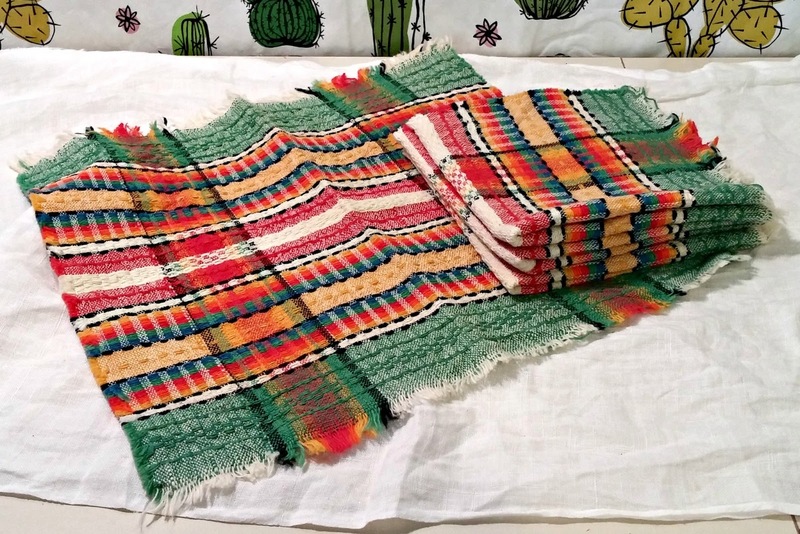 I was so excited when I dug this Mexican themed tablecloth out from under the heap! 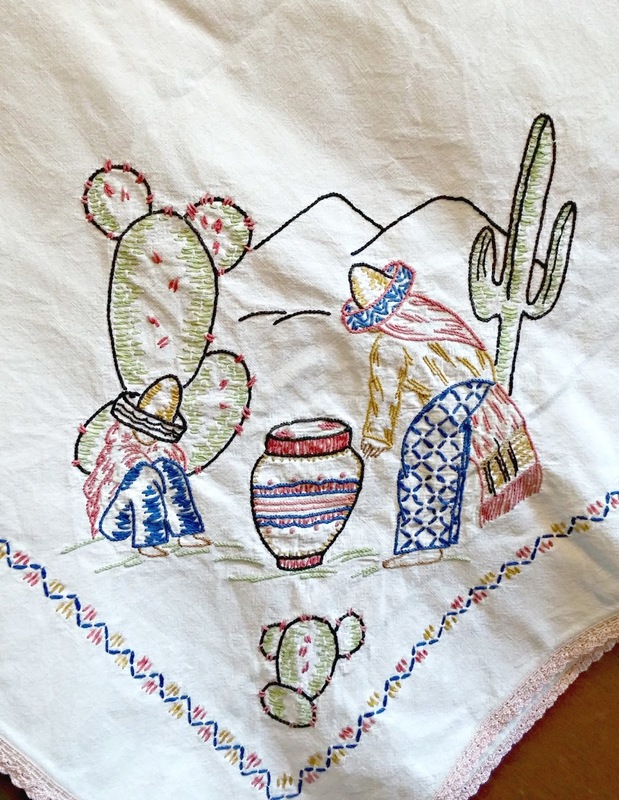 I love the embroidered cactus! Price $2.50, Value $22 - $24. Price .50 cents, Value $4 - $6. 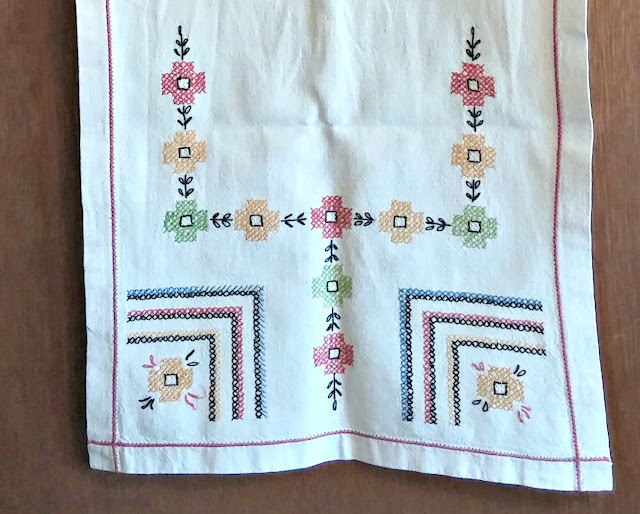 A beautifully embroidered table runner. Price $1.00, Value $14 - $16. Please excuse the wrinkles on this linen tea towel... I did iron it but then I folded it up again! There is a cute little mouse swaying in the wheat! Price .50 cents, Value $6 - $8. 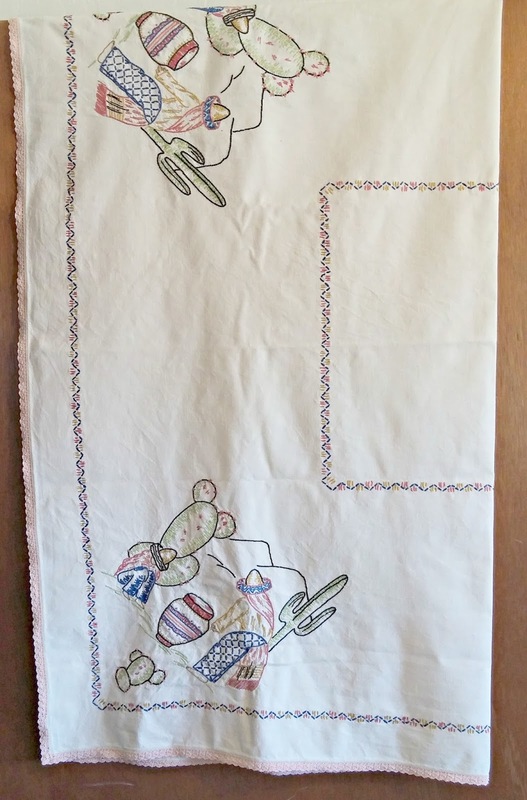 After I found the Mexican tablecloth I found this one!!! And then I found the napkins somewhere else!!! 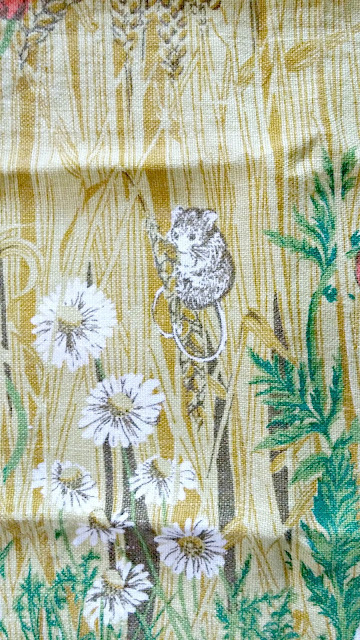 I gotta say this might be the CUTEST tablecloth I've ever seen!! The man is on one end and this little lady is on the other! The edges have the colorful zig zag that matches the napkins and cute cacti! These curtain panels are so awesome too! They are actually double and attached in the center at the top, so quite large. You'll have to check them out in the shop to see both panels together. I don't think this is bark cloth, but very similar. It's a little more textured and nubby than bark cloth. They were just $3.00, Value $65 - $75. 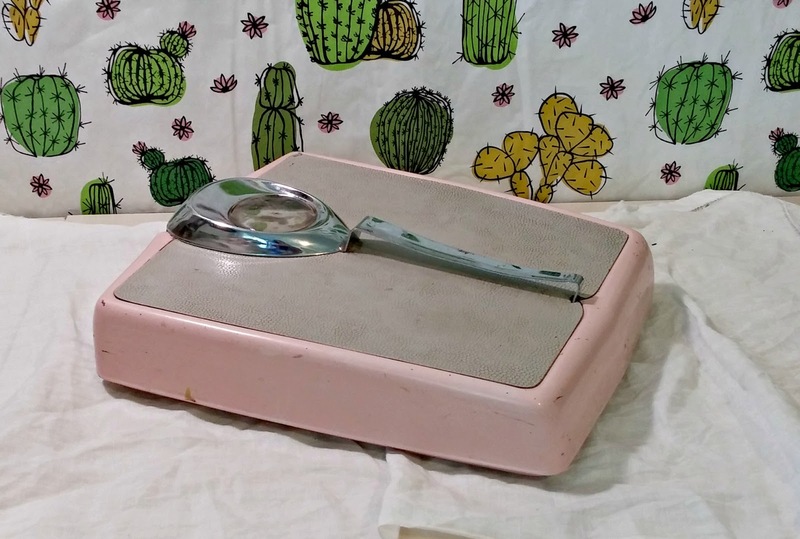 And last, but not least... a pink bathroom scale! Price $3.00, Value $20 - $25. That's it for this week's TTT. Whew, that was quite a haul but we were in our glory there... my mom and I both LOVE digging through stuff like that! 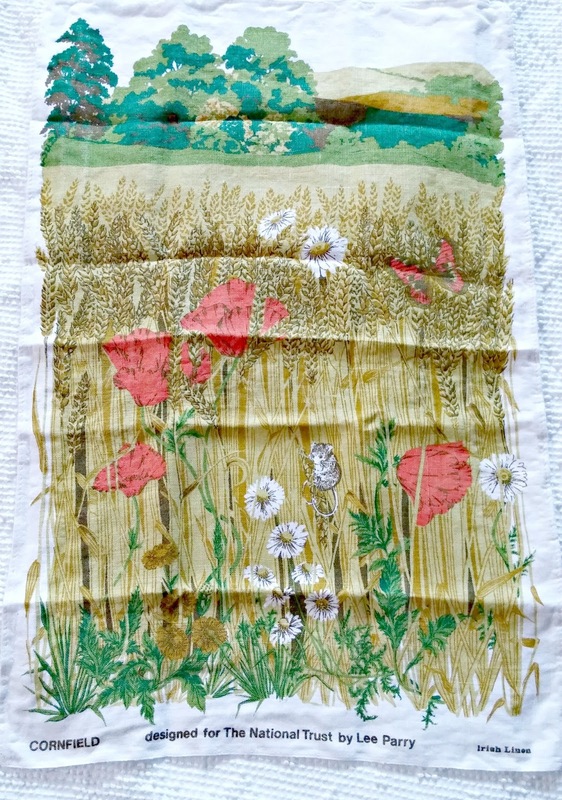 I've been busily adding the stuff from the last TTT in the shop, hop on over and check it out here: Little Boho Cottage. Wow! All scores! 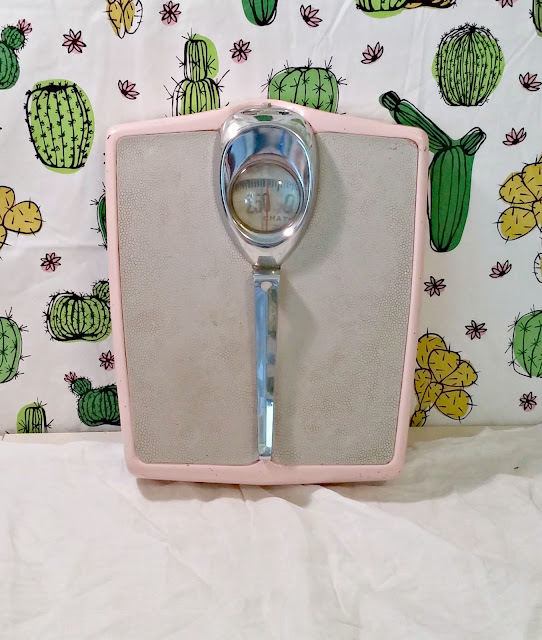 Love anything pink in bath or kitchen, so that scale! Oo-la-la. Are you gonna keep or sell? The adorable Mex tablecloth with the man & lady....so cute, and those other linens will fit right in to your new Etsy shop. Like your logo over there. You closed a shop. Now I've opened another one! Trying to sell off all my square dance clothes, and western stuff. Made one sale. Old linens are my weakness and you really scored some good ones! 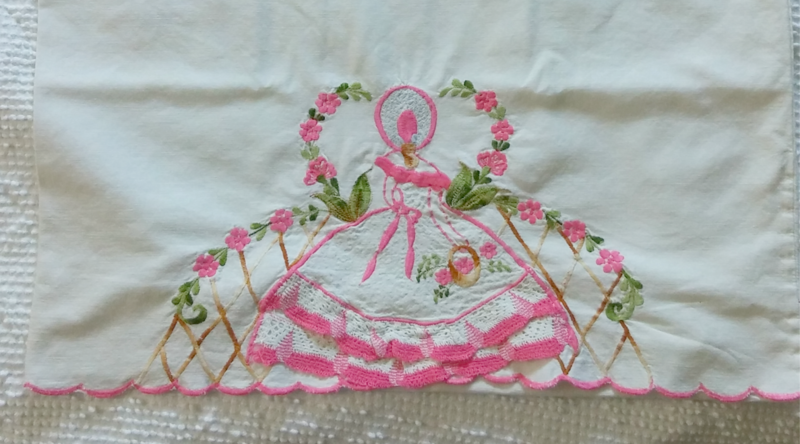 Thinking of all the work some woman put into each of those linens, I get upset when people cut them up. Love the Senor and Senorita tablecloth. 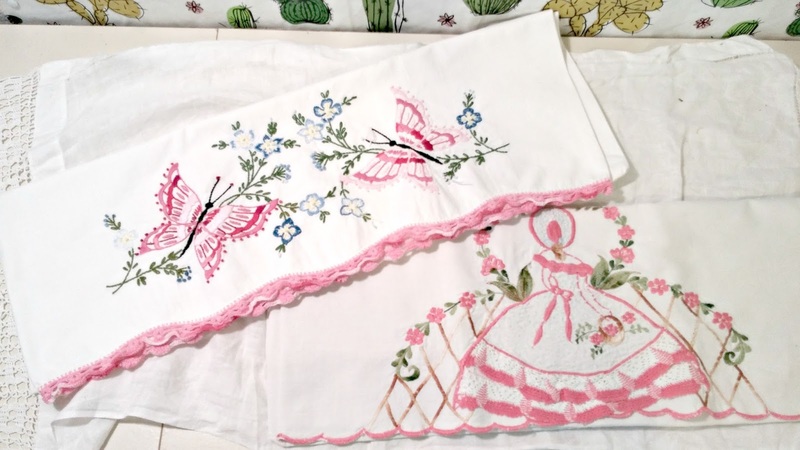 (Actually your pillowcase with the Southern Belle could probably sell for double $8.) I really enjoy your TTT posts--keep 'em coming! 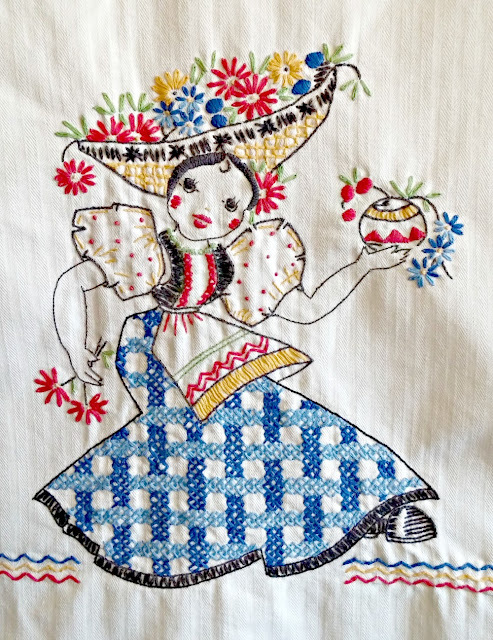 I know, I would not have the patience to do detailed embroidery like that! I might put a little higher price on the Southern Belle pillowcase but it does have a couple of issues with the hem coming out. I'll be selling the scale, I have a vintage scale already! What's the link for your new shop?! Wow! 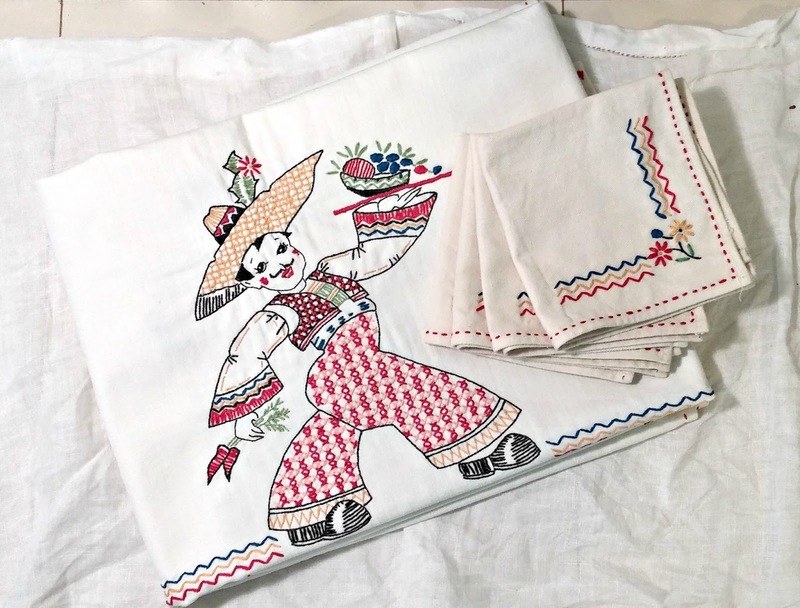 What great linens you found. Love the mexican senor & senorita. Great colours! That old pink scale is awesome! Hi Tuula! Aren't they great? !